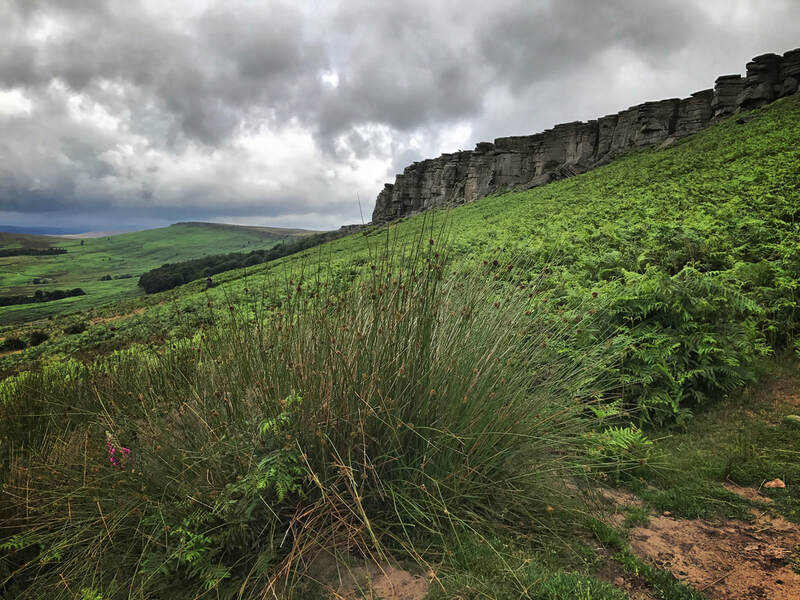 This tour is an opportunity to enjoy the wilder side of the Peak District, with magnificent views from some unique vantage points; the atmospheric gritstone edges of the Dark Peak. 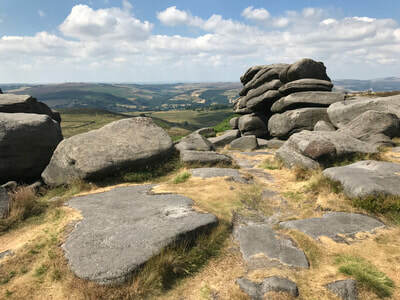 Higgar tor is a wonderful hilltop where you can wander around the gritstone boulders, with great views across Hathersage Moor and Carl Wark Fort, as well as across to Hope Valley. 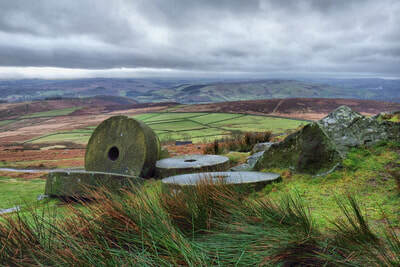 A short hop away is Millstone Edge where a short walk can bring us to some abandoned millstones. Then a short walk will take us to the amazing views from Stanage Edge itself, the longest and arguably most spectacular of the Peak District's edges. Baslow Edge offers great views across the villages of Baslow, Curbar and Calver and, occasionally, the opportunity to photograph some friendly highland cattle. 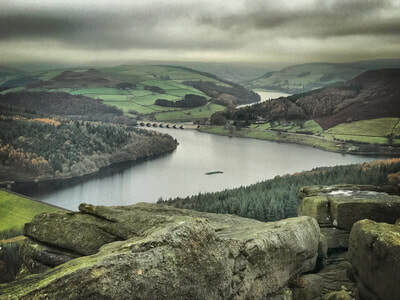 And finally, Bamford Edge offers a great view over Ladybower Reservoir and Derwent Valley; one of the most celebrated views in the Peak District. 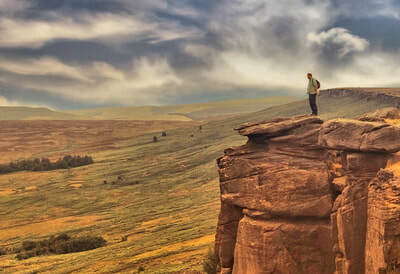 The tour is informal and friendly, with opportunities to stop at the various locations to try out some landscape photography. 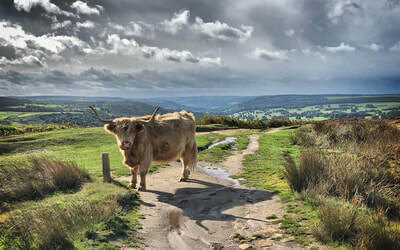 There will also be an opportunity to enjoy a nice pub lunch at one of the Peak District's great traditional pubs; ideal to discuss photography and post processing techniques, as well as shelter from the elements! This tour does require some walking along footpaths which are uneven and can be fairly steep in places so a reasonable level of fitness would be recommended, as well as suitable outdoor footwear.